﻿ How to Choose Satisfying Cisco SFP Transceiver Modules? How to Choose Satisfying Cisco SFP Transceiver Modules? Today, various types of 1000BASE SFP transceiver modules can be found in the market. But should you choose one for long distance and short distance application? Or buy copper optics? Which brand is the most reliable and cost-effective, Cisco, HP, Avago, etc.? Do the third-party optics operate as well? So how to find satisfying SFP transceiver modules which suit your switch most? Now keep reading this article and you will get the method. Take three most common types of Cisco SFP modules as example. This GLC-SX-MM 1000BASE-SX SFP transceiver module is a duplex SFP transceiver for optical communications. It can support the data rate of 1Gbps reaching the distance up to 550 meters over OM2 multimode cable. The GLC-SX-MM transceiver operates at 850nm wavelength. It’s compatible with the IEEE 802.3z 1000BASE-SX standard, which is usually applied in Gigabit Ethernet. There are also GLC-SX-MMD and GLC-SX-MM-RGD SFP modules. “D” of GLC-SX-MMD means Digital Optical Monitoring (DOM) support which supports transceiver monitoring and troubleshooting operations. “RGD” of GLC-SX-MM-RGD refers to rugged (RGD) transceiver module, which features enhanced ESD (electrostatic discharge) protection, and extended operating temperature range. The GLC-T 1000BASE-T SFP is a hot-swappable input/output device that plugs into a Gigabit Ethernet port or slot, linking the port with the network. It supports the max data rate of 1000Mbps reaching 100 meters links over copper cables such as Cat5, Cat5e or Cat6a. This transceiver is fully compliant with the MSA and 1000BASE-T standards as specified in IEEE 802.3-2002 and IEEE 802.3ab. “Third-party” means a supplier (or service provider) who is not directly controlled by either the seller (first party) or the customer/buyer (second party) in a business transaction. For fiber optics industry, all fiber optic transceivers are defined by Multi-Source Agreement (MSA). MSAs strictly define the operating characteristics of fiber optic networking equipment. Therefore, as long as a manufacturer complies to MSA guidelines, their transceiver modules will function and operate identically to other manufacturer’s MSA-compliant transceivers. 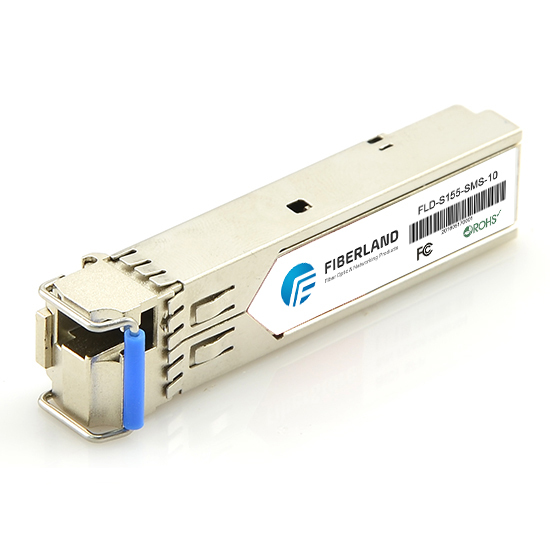 For example, the above fiber optics like GLC-SX-MM, GLC-LH-SM and GLC-T made by Fiberland are completely compatible with Cisco networking equipment. Whether to buy original or compatible SFPs may depend on the the cost. Original SFPs are much more expensive than the third-party modules. Using the third-party optics can absolutely help you save the cost. Considering the third-party SFPs from the third vendor, you may worry about the quality and compatibility. As to Cisco compatible GLC-SX-MM, GLC-T, GLC-LH-SM SFP modules, lots of vendors can produce these optics. So it’s necessary to ask information about OEMs and compatibility test from your third-party optics supplier. From the above introduction, you must have a well understanding about three common Cisco 1000BASE SFPs. When choosing SFP modules, you should consider whether it matches the switch port and the cable you have prepared. If you have multimode cable, then you can choose GLC-SX-MM 1000BASE SFP. If you use single-mode fiber cable, you should select GLC-LH-SM 1000BASE SFP. While if your cable is copper category, you have to use GLC-T 1000BASE-T SFP. On condition that your budget doesn’t allow you to buy original brand module, you can buy the third-party optics from Fiberland with Cisco, Avago, HP and other compatible brands.